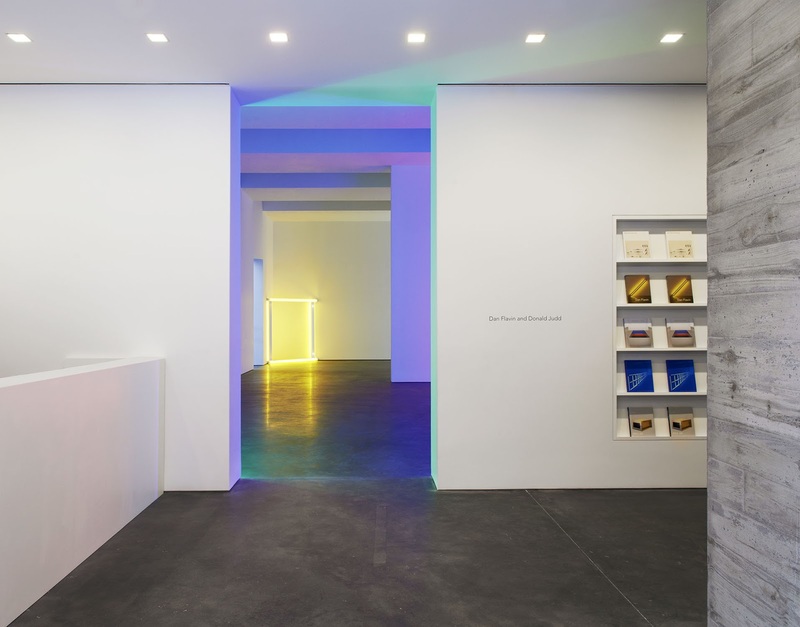 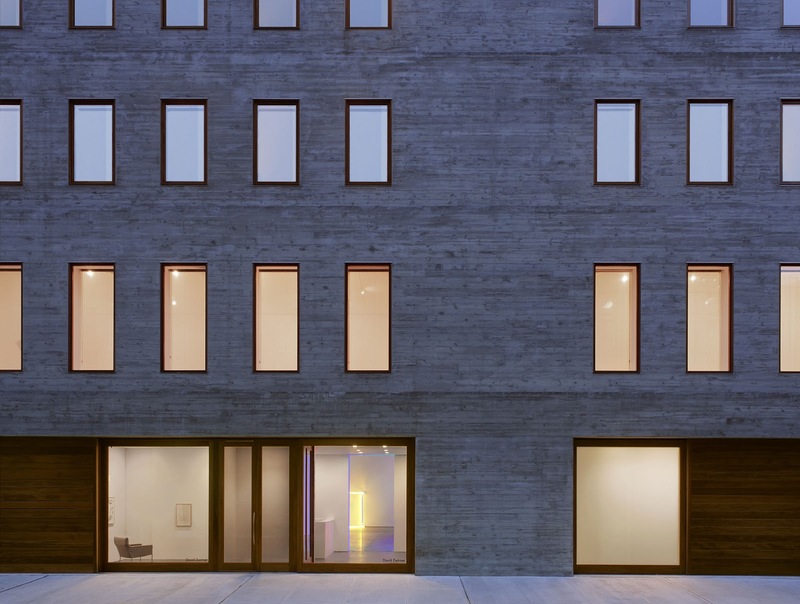 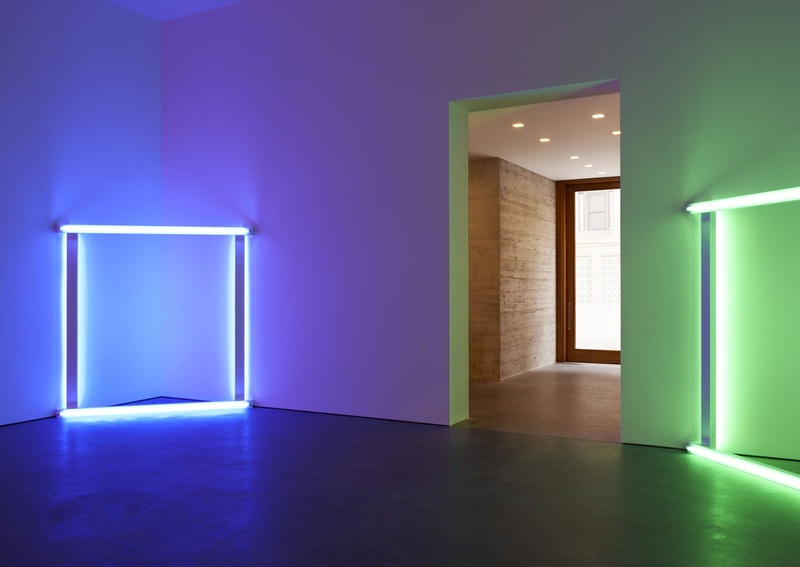 For David Zwirner’s second location in Chelsea, Selldorf Architects designed a 30,000 sf building that will be the first LEED certified commercial gallery in the U.S. 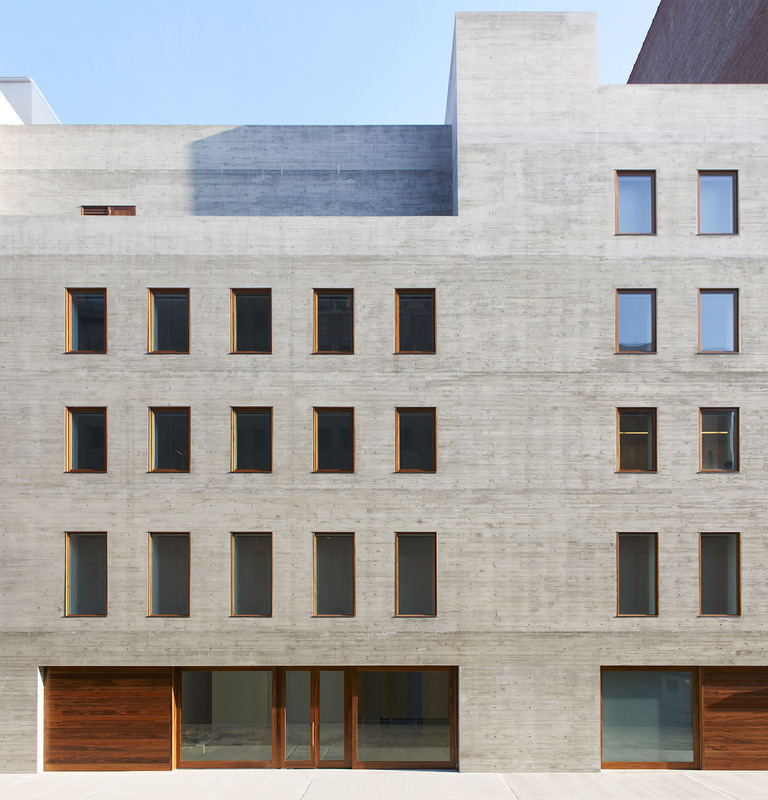 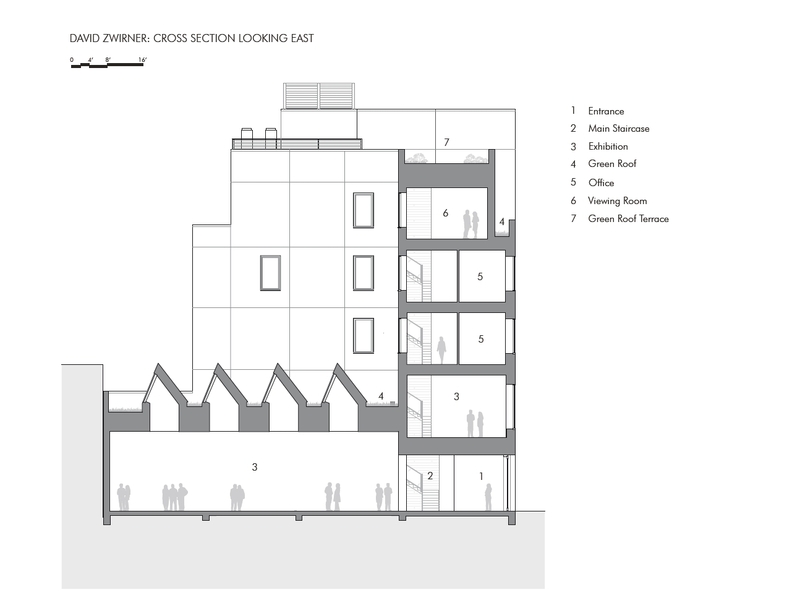 The neighborhood’s industrial-aesthetic is the inspiration for the exposed concrete façade. 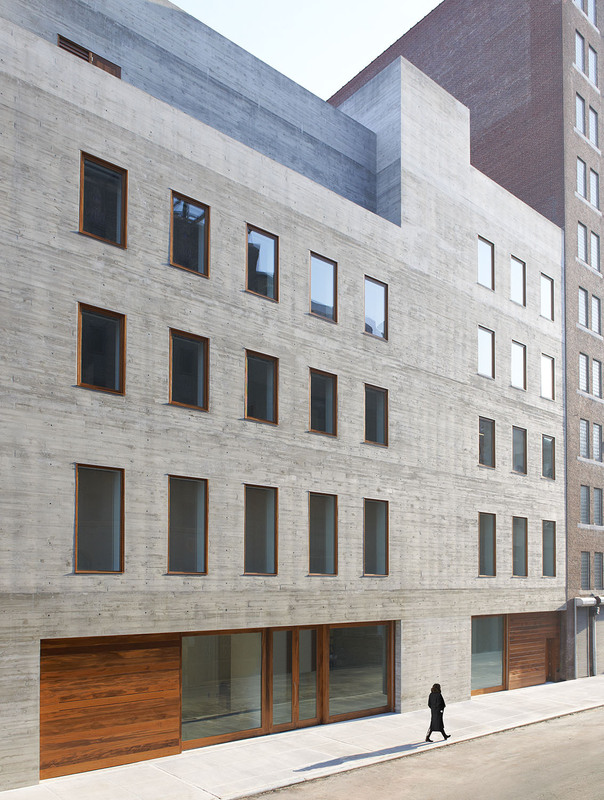 The concrete is contrasted by teak paneling at the street level and on the window frames above. 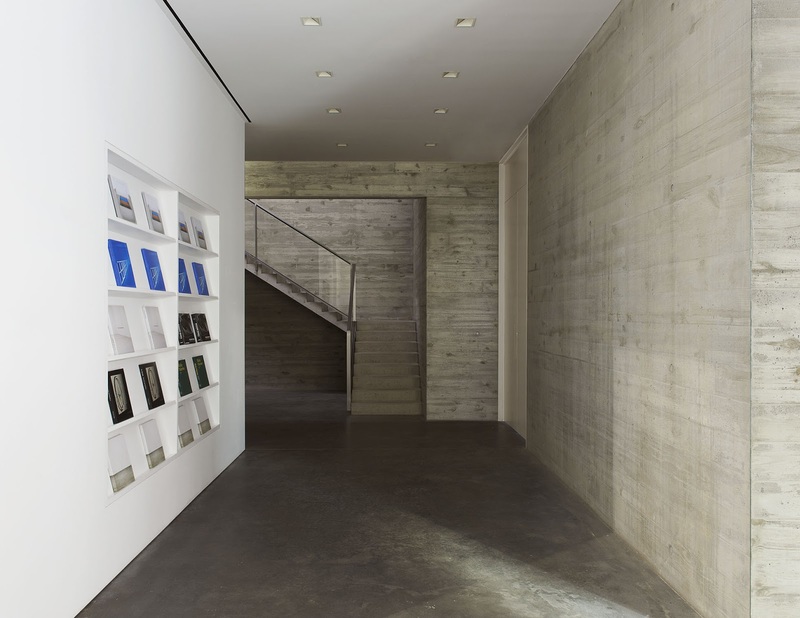 Inside, the 5-story building is organized around the main exhibition space: a 5,000 sf column-free gallery with an 18’-6” ceiling. 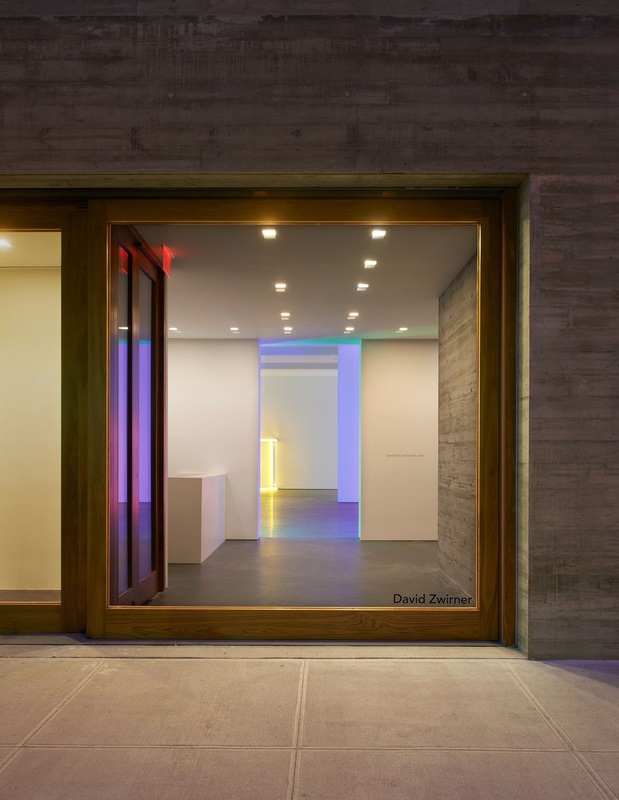 The space’s concrete floors and large sawtooth skylights recall the aesthetic that the firm developed for David Zwirner 19th Street. 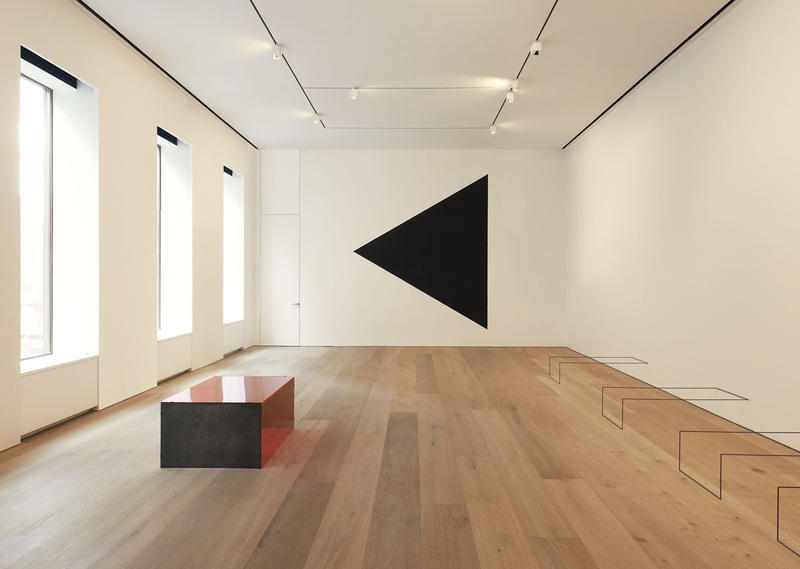 Exhibition space continues on the second floor with a more intimate 2,000 sf gallery with oak floors. 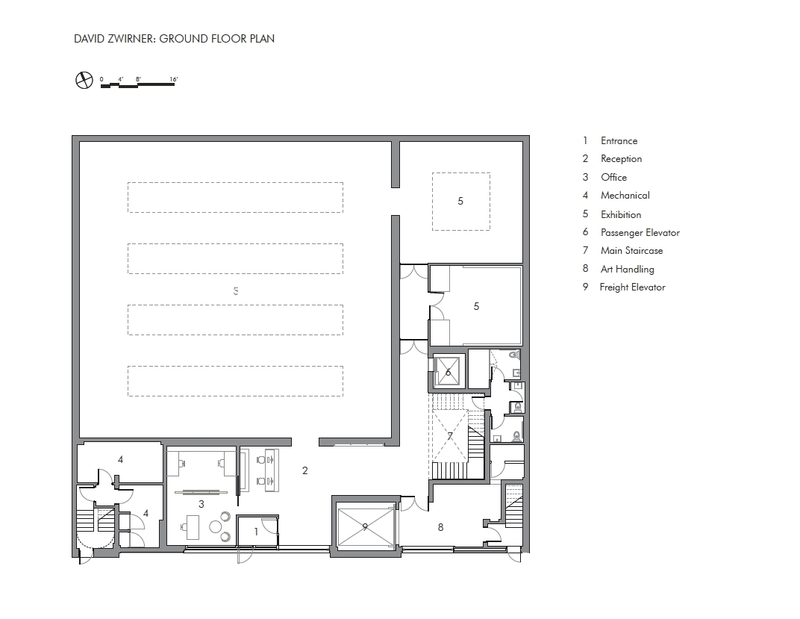 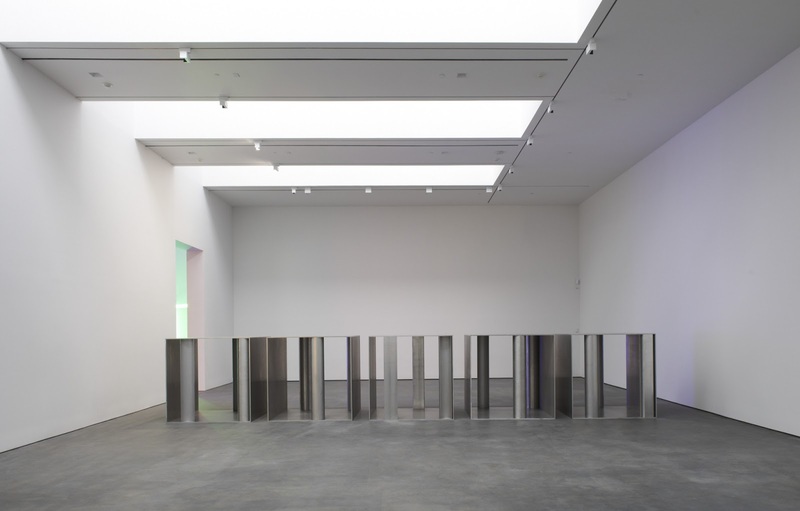 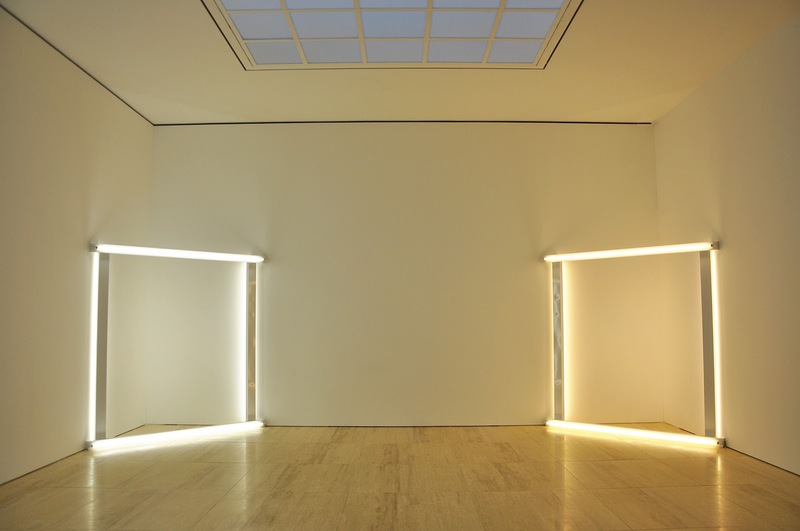 Levels three, four, and five accommodate private functions such as viewing rooms, offices, and art handling areas. 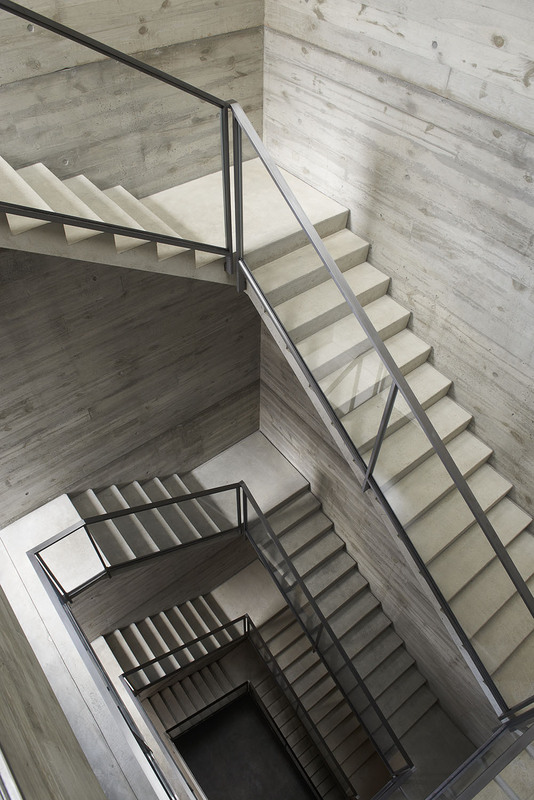 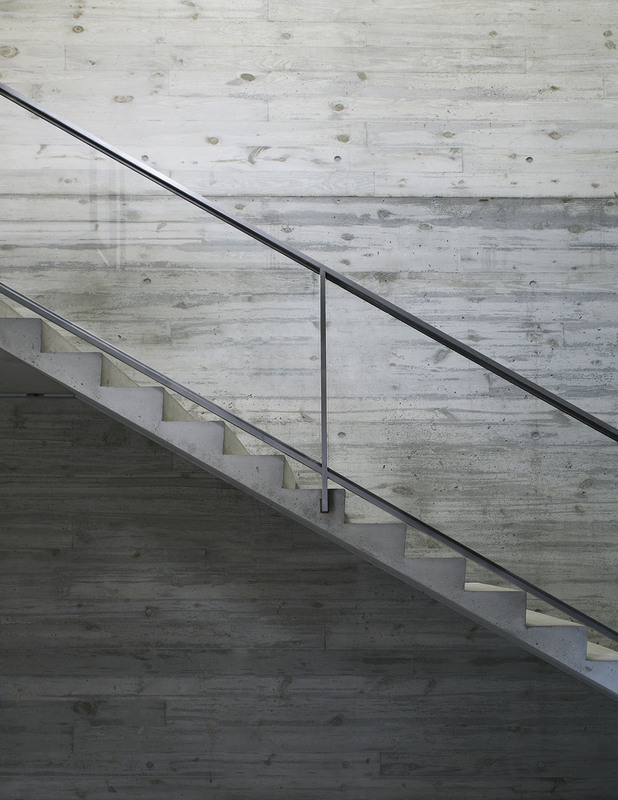 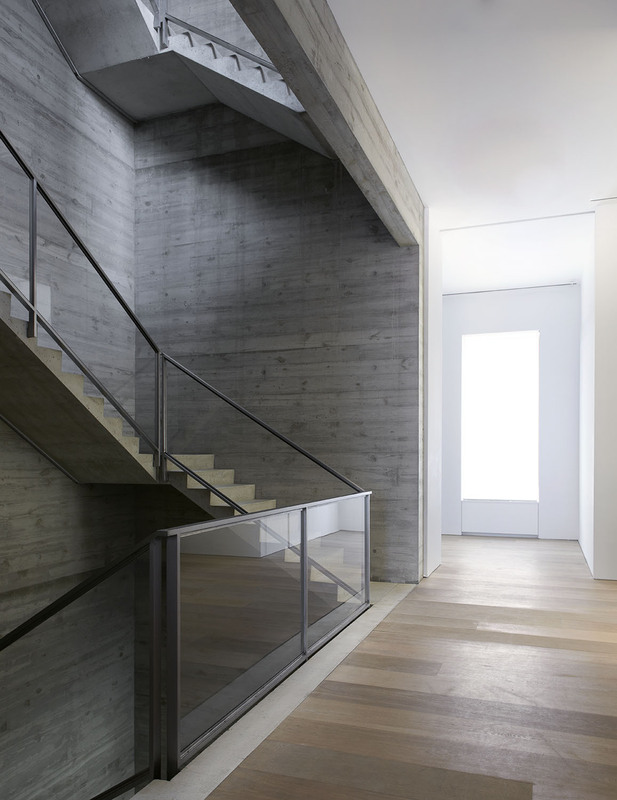 Concrete is utilized on the interior to create a dramatic stairwell connecting all five floors. 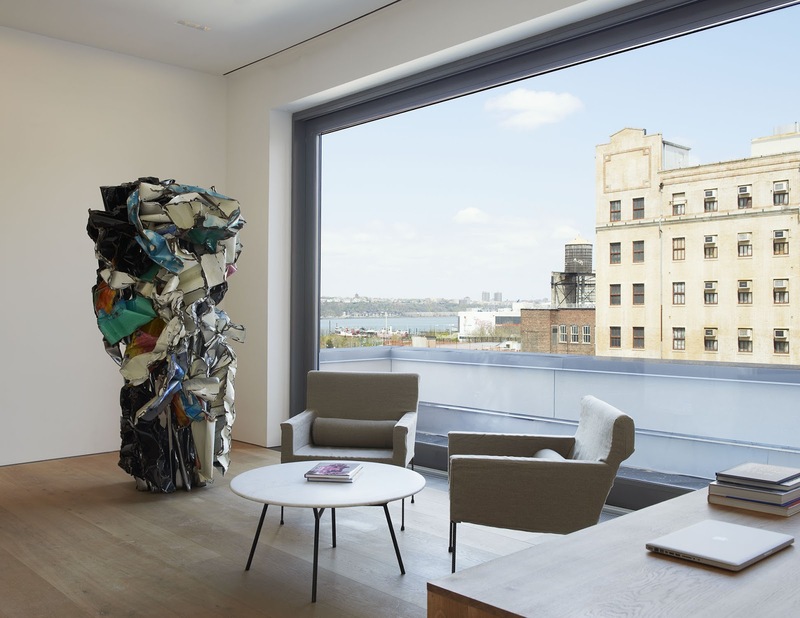 With its target LEED Gold certification, the design features environmentally conscious strategies such as habitable green roofs, high efficiency mechanical systems, daylighting, and responsibly sourced materials.